At the doorway of the Geroch Wormhole, is the Federation's first outpost and the hope of many as they explore the Delta Quadrant. It is a place where one can start over. The Hope One Dyson Sphere is as big as a solar system; enclosing a white dwarf star with an interior surface the equivalent of millions of worlds. On it's surface, the Johvan and Kharians live in an uneasy peace as a liberated people and their former overseers. It is the long-sought home of the wandering Gatrubbian people. Sentinel Station stands watch. It is a bustling hub of exploration and commerce; a place of opportunity. The Axel is a privtely operated cargo transport ship that splits it's time between supporting the Federation in the sector and it's own missions. 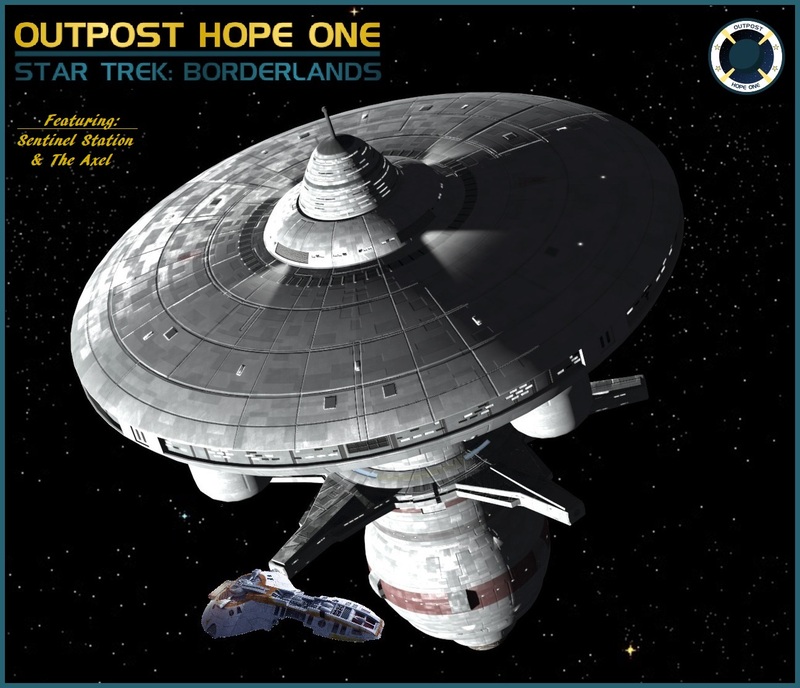 Star Trek: Borderlands is a play-by-email roleplaying community started in 1991. For more than 20 years, fans of Star Trek have come together to write their own stories of exploration, conflict, friendship, victory and defeat.